Stirlingshire and Clackmannanshire are regions known for their lovely scenery with glens, steep gorges, rivers and rolling hills. We offer landscaping services throughout the area including the historic city of Stirling which boasts beautiful buildings with a spectacular castle and Old Town area. 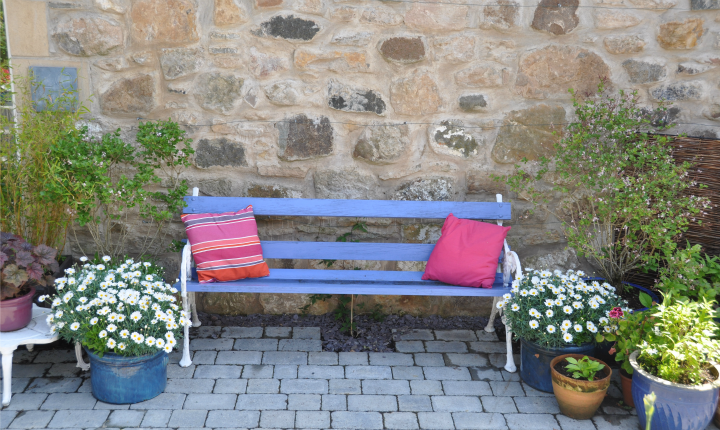 Throughout Stirling and Clackmannanshire there are numerous scenic towns and villages with historic buildings and castles and we work with our clients to design outdoor spaces which suit their lifestyles and environments perfectly. Whatever you want for your dream garden, we offer expertise in designing and building every type of garden installation and feature. We work in locations across the region and our portfolio includes projects in Stirling, Bridge of Allan, Doune and Dollar. If you would like to discuss a garden project in Stirling or Clackmannanshire simply give us a call on 01738 553014 or submit an enquiry form. Please click on the links below to view some of our recent garden landscape projects in the area. 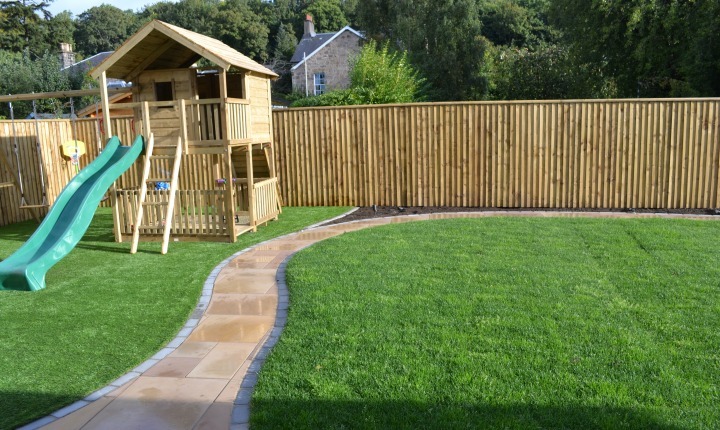 A delightful garden designed with the needs and interests of the whole family in mind. Please click below to find out more. 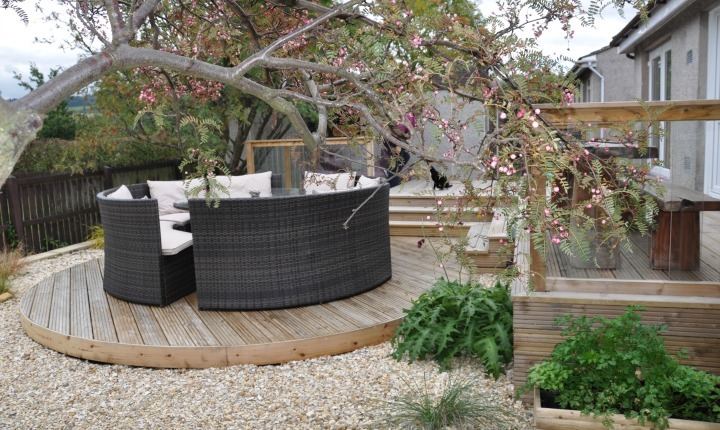 Extensive decking project with areas for entertaining and relaxing. Please click below to see more of this project. 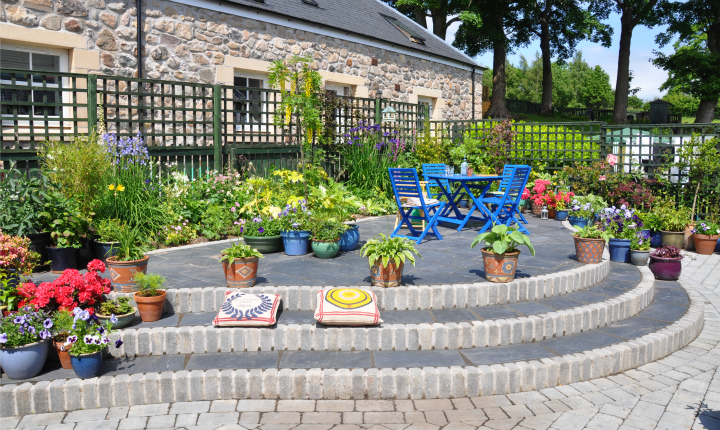 A paving project where pots and colourful accessories have brought vibrancy to a steading garden. Click here to see more.